From Auntie Chili: "If you would please; The chick who played Abigail Adams in the John Adams mini-series. Laura something or other I think. The chick that played the mom in the terminator movie. If you can find the one where she is in jail working out that would be cool. Sting. He's hot for a dude. You in the black dress again. Carmen from the L word. 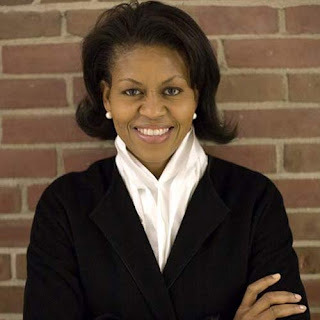 Mrs. Obama. Anyone else you think I might like. Thank you." First of all that's Laura Linney to you. And to everyone else. She is an accomplished stage actress who has only relatively recently come to the national public eye with any sort of regularity. It's hard to pick my favorite Linney role, especially given the masterwork that is the John Adams series, but I think it's still either from The Squid & The Whale or Kinsey. Just for the record, that "chick" is Linda Hamilton, that "jail" was a mental institution, that "mom in the Terminator" is Sarah Connor. I like Lena Headey (perhaps you will too, here's a picture) in the TV Series but she's no Linda Hamilton. Sadly my limited search skills did not reveal a secret cache of screen caps of that iconic first appearance in T2:JD where she's doing pull ups on the upturned bed frame. Sigh. Maybe our cry for them will bring a lurker out of the woodwork and they'll find a shot for us. Fingers crossed. Do you hear that technically proficient lurkers? We need you! I've heard the same stuff you have about Sting. I guess he is hot but it's just not doing it for me. Different strokes, though, so here he is in all his new age, manly musician glory. 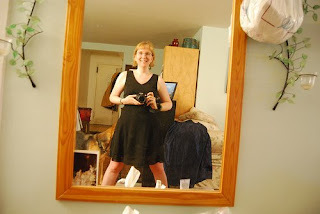 The Black Dress? Really? I don't have any new ones and this one's so bad. 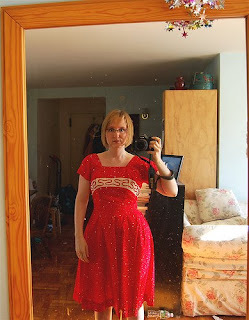 Aren't a little more glam in the red? Carmen from the L Word also known as Reese from Life also known as Sara Shahi also known as Lesbian Kryptonite. Seriously, she totally is. 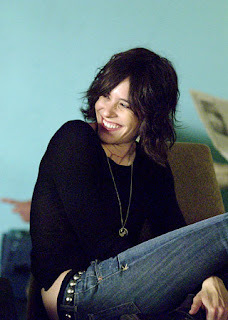 I'm a Shane/Katherine Moennig girl (aka Straight Girl Kryptonite, I know!) myself but I do see the attraction of the lush-haired, curvy, exotic goddess. She used to be a Dallas Cowboys Cheerleader, did you know that? Here's one that'll make us both happy. My kingdom for a better resolution copy of this image. Whooo, I may need to take a minute before we continue on. It is interestingly difficult to get photos of Michelle Obama by herself and without a microphone covering up her face. Some of the best ones are here (link courtesy of Gert) and all copywrighted so I can't show you a sample but please trust me when I say that if you're excited by the First Family or even still just a little Dewy for Democracy (tm ME!) you should check those shots out. See? FLOTUS-Elect knows what I'm talking about. And here, just as a prize for being the first person to request a Hot People post this time around, I'll say farewell with a few one shots you might find interesting. 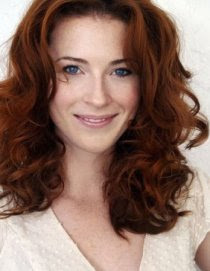 Bridget Regan, currently on the new series, Legend of the Seeker, by the folks who brought us Xena. Katie Holmes who, I think, remains beautiful despite my near-constant desire to send a SWAT team into her life to rescue her and her cutie daughter. The delicious Navi Rawat who jumped ship from the OC just in time to land on Numb3rs and become one half of the hottest smart couple currently gracing our televisions. And this one? This one's just for me. Images courtesy of the all-seeing Google. OMG! I LOVE the one of Laura sitting on the ground! That smile! Most excellent! Linda Hamilton in the mental institution doing pull ups! Yes, that's the one. You jogged my memory enough to make the picture appear in my head. Thank you! Lena Headey is pretty hot too, I think I will start watching the series!! 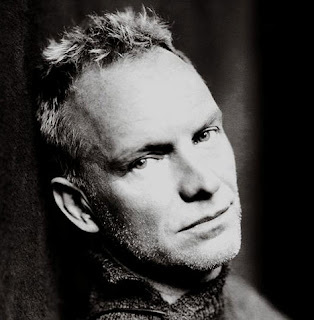 The thing about Sting is that he writes amazing music that just keeps better as he ages. He bares his soul and that is why I think he is hot. The black dress is hot. You in the black dress? Smoking! The red one is nice but it would clash with my hair when I take you out in my dreams. Just keeping it real. Sara Shahi was hot on the show. Shane was a womanizing whore. I do not like womanizing whores. Mrs. Obama is smart. Smart girls do it for me! Thanks for the bonus chicks. The numbers girl is hot! And she has a nice voice. I love me a nice voice. Ah, it's all about clashing with your hair. Got it. I'll work on better photos. It's wrong that the phrase "spank bank" just leapt to my mind, right? The L Word is still going on. Shane has grown and matured. Now, you're right, I'll give you the womanizing whore thing but that's not ALL she is. Plus, so hot. The Numb3rs girl is wonderful, it's true. You're welcome. You rock, too. Wooo-weee. That was a good one. 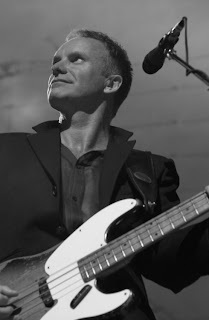 I DO think that Sting is hot, especially when there's scruff involved. Mmmmm. 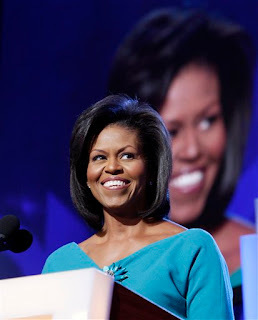 I really do think that the new First Lady is the prettiest one we've had in, well, in my lifetime, at least. She's some kinda gorgeous, and wicked smaht, too. Seriously, Girlfriend. You totally rock this. I'm on season one of The L Word and Kizz.....Shane totally does it for me, too. Great post. That sitting shot of LL is fantastic. I've always liked her...she was great in Love Actually, too. Depends. Who went into your spank bank? Actually, never mind. Ugh. LL breaks my heart in Love Actually. Just hearing her ringtone makes me die a little. Speaking of Love Actually, I was thinking, hey, what a good Hot People theme, but it should wait for Christmas. THEN I was thinking, what about all of the other holiday movies with Hot People (Family Stone came to mind first, but if you start soon you can do Pieces of April). Anyhow, if you run out of fodder in the next 6 weeks or so, holiday movies might give you something to work with... But no, Jim Carrey as the grinch is decidedly not hot. Haven't really seen the L word, but I do actually know the person who Jennifer Beals' character was based on. 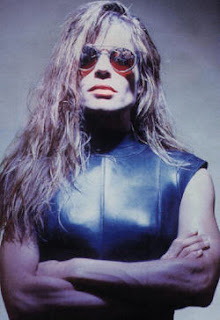 Linda Hamilton - oh, yes. Why, why, why, tell me why an otherwise intellectually and sexually normal woman like me would have a furtive, shameful interest in that old dumb TV series, "Beauty and the Beast?" Can someone explain the whole Colin Farrell thing to me? Because it escapes me. Entirely. Is Karina Lombard still on "The L Word"? Now SHE was hot. As a straight male, Shane's not doing it for me. But I can see what the chicks like in her. I actually like Sting's music less and less as time goes on. I'll take the worst Police album over the best Sting album. And Mrs. O is awesome. Although she's a cannibal. Love Actually. Yes, Laura. Beautiful. Hugh. Jump for my love! You in the Red! Smoking hot! Colin... woof. Any time of the day... bump. See your not the only one that runs into walls. Sting. Long, long... held long love affair with him and his music. Obama's and Scout... beautiful isn't it? Plan to buy the book ASAP. Gypsy, I have the Colin Farrell thing sort of in the same category as the Eric Bana as Greek Warrior thing. Farrell is more modern day warrior I guess but a lot of the same good and bad attributes. Plus he's got the smoldering eye thing. MAB, Karina came back in a later season for a short while but I don't know that she's back permanently. I'm still a full season behind, though, since I've been Netflixing the series.